©2016 Sarah Lyons Fleming (P)2016 Audible, Inc.
think I'm in love with Eric Forrest, lol why is it so hard to find good men outside fiction?? What does Luke Daniels and Therese Plummer bring to the story that you wouldn’t experience if you had only read the book? Loving everything Sarah Lyons Fleming writes. Cannot wait for the next book in the series! 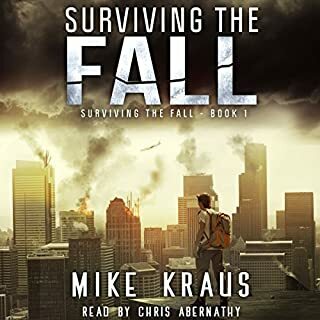 I loved the characters and narration of this audio book. I can't wait for the next book. Hurry up please! Fun enough, keeps you hooked, but basically a teen romance novel while sometimes braining zombies. I really liked the characters in this book. They’re believable and it’s a great story of friendships. Love that the female characters are strong women, even the weaker one, Grace, pulls herself together to get through things, as though there’s no choice but to toughen up, which seems realistic. I can't believe I got so invested in a book about Zombies.... I loved this whole series, amazing characters and relationships, I laughed and cried and laughed and cried together. I listen while I'm driving and at one point I pulled up at the supermarket but couldnt go in because I was crying so much... had to compose myself first. Thank you to Sarah the author for creating these charcters and the narrators did an amazing job bringing them to life. 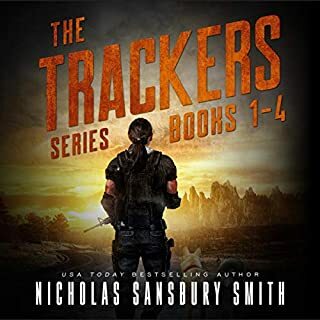 Love these books and am eagerly awaiting the third on audible. yes i have read it and it doesn't dissapoint. I was so stressed for the main characters I even skipped to the end to see who survived! No spoilers. This author gets better each time and I look forward to future works. This series will make you laugh out loud battle tears and rip your heart out but well worth every minute. Loved it! If you are new to this author, stop! Check out her trilogy + novella, Until The End of The World. Mordacious is a spin off of that series. It is not essential that you read Until the End of the World first to enjoy this book, but I recommend you do. 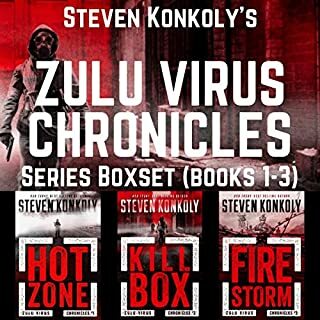 Do you like zombie / survival stories – but hate to get bogged down with endless tragedy and after tragedy? 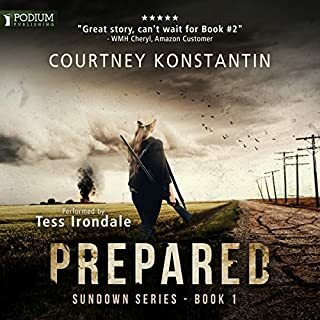 I love apocalyptic novels, but I am often turned off by plots that take the reader down a dark hole (evil humans, society at its worst, characters spending the entire book trying to find a way out of a hopeless and ugly scenarios). While Fleming’s novels include all these elements, her books center on the dynamics of the survival group. 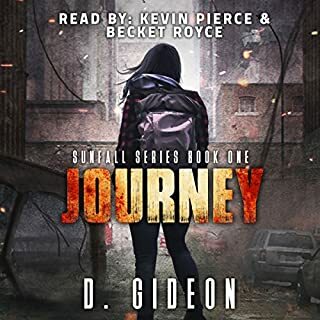 The plot is centered on her characters, their struggles, and growth – that happen to be in the middle of a zombie apocalypse. Fleming wrote the first “Feel Good” Zombie story I have ever read – and it was such a breath of fresh air! That is, when my heart wasn’t racing from fearing for my beloved characters well being and safety. Narration: I am a narrator snob. I have loved Luke Daniels since “The Druid” series… he does a fine job here. I am new to Therese and thought she was a little better fit for the character she’s playing. The story is told from two points of view, so that is why we get a male and female narrator. When the two characters are together, the narrators get to play off each other, the narration really shines. I saw one negative review of the narration and I honestly don’t know what they are talking about. The narration is great. I really enjoyed her first series with Cassie and friends, and while I liked finding out what happened to her brother there was way too little zombie action and way too much romantic angst. This seemed like a book written for a harlequin romance series with a bit of zombies thrown in. The main female character was just too stereotypical 'nobody can ever love me'. Perhaps having Terese Plummer queen of romantic narration didn't help with that feeling. I will continue the series because I want to find out if they ever meet up with Cassie. This book was so satisfying! What made the experience of listening to Mordacious the most enjoyable? I previously read it before I listened to the audiobook. I think I enjoyed reading it better, but I still loved listening to it. Sylvie and Eric were probably tied. They are both so funny and witty and i obviously love what's happening between them. Sylvie isn't afraid to stand up for herself and her friends. She doesn't realize the impact that she has on people. She thinks she isn't worth anyone's friendship, but she doesn't realize that anyone she meets loves her. Eric gets her. Knows when to push her and when to back off. He gives her time to adjust to him and he respects her personality traits. Have you listened to any of Luke Daniels and Therese Plummer ’s other performances before? How does this one compare? Sarah has a way with words. She could write the dictionary and I would still listen to it all in one sitting. If you haven't read the prequel series to this, you are missing out. It's called "Until the End of the World" and it has three books. They are so phenomenal. I have re listened and re read probably a dozen times. Do yourself a favor ;) This series is setting up to be the same. I love her writing. And her plot twists. I have listened this series Starting with Cassie's Journey & all she went through!! I was excited to find this book about her brother Eric & his Journey! I can't wait for the next book to come out!! Even though this series has new narrators they did an amazing job! 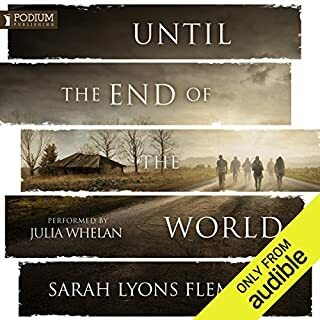 In a way I'm glad Sarah Lyons Fleming switched narrators for this series! 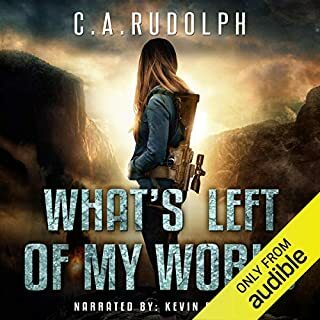 DON'T GET ME WRONG THE OTHER NARRATOR WAS JUST AS AMAZING but I like her voices for Cassie, Nelly, Penny, Anna & Peter as well as all the other Characters for that series! So it's good to have new narrators for Eric & his group! It's like the book is split into two parts. At first, "Mordacious" starts off as the average zombie scenario. In fact, deja vu might occur with all of the familiarity. The character personalities, survival situations, tools they use, settings, and internal struggles can be found in other similar material. Halfway through the book, however, things start to shift gears into something that involves a lot more emotional drama. 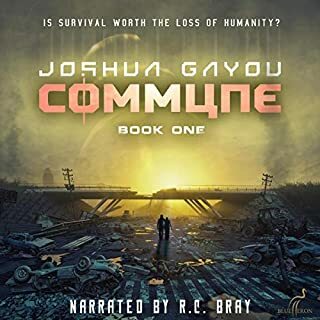 It's pretty much a different audiobook after that point as the entire tone and pacing of the story changes. 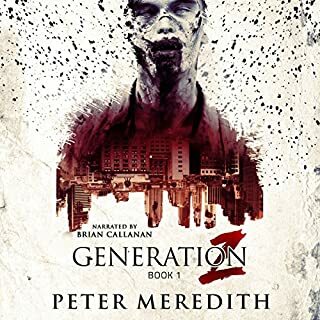 Zombies randomly fade into the background as relationships happen, couples ogle, emotions are repeatedly developed and discussed, and psychologically is extensively explored. 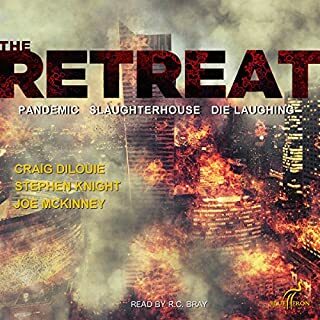 Therese Plummer and Luke Daniels were an outstanding team to voice this audiobook. Both have terrific range and get the emotions across for every written scene perfectly. 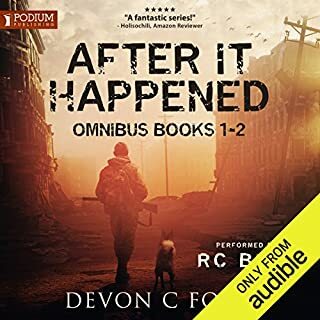 This alone makes the audiobook worth it, despite the story itself being a touch predictable in areas. The story is set mostly in New York and split between the first person perspectives of two characters; Sylvie and Eric. Sylvie being the main character for most of the story. An interesting character with mild social anxieties, Sylvie is as interesting as she is uptight because she is constantly worried about what others are thinking of her while attempting to deal with stresses that come with a zombie apocalypse. Eric is survivor searching for his family and has a bit of a fatalistic sense of humor. 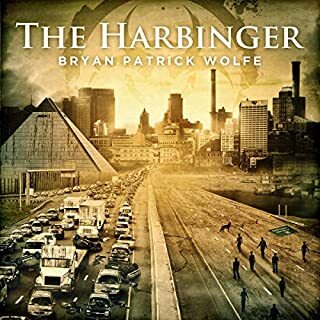 This book is recommended to listeners who enjoy romance with a toe dipped in survival horror. 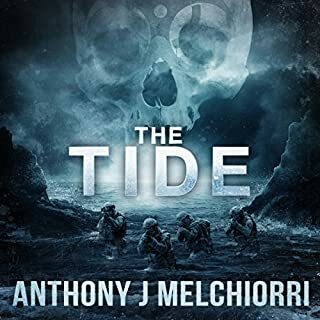 If you are expecting more traditional zombie thrills, then the first half of the book is for you. If you are expecting a book that has romance and dramatic discussion, then the second half of the book is for you. I like Zombie books, but I'm kind of picky. It gets monotonous when there's blood, gore and eating of human flesh, 24-7-365. So when I found a free book download on Audible, So long Lollipops.....I found nirvana. I plowed through the "Until the End of the World" series and was saddened when I discovered that series was finished. 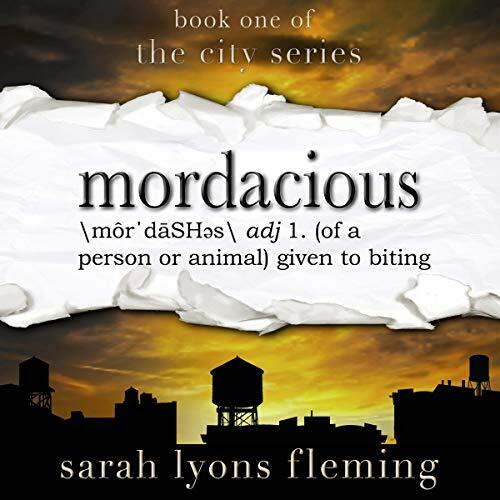 That's when I got desperate and plugged in Sarah Lyons Fleming's name into Audible and found Mordacious....Yahoo! I hit the mother lode! Now, I'm finished with that one and I'll have to wait until the next of "The City Series" comes out:-( Can you tell that I'm in love with this series. Oh well, I'll have to placate myself with some other meaningless books until the next comes out. FINALLY! 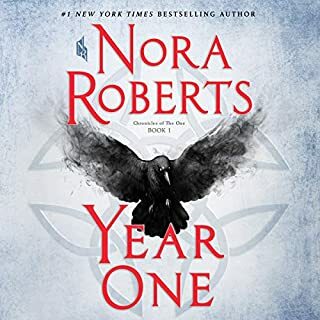 I have been waiting for this book since Sarah Lyons Fleming announced it after releasing the last book in her last series Until the End of the World. The City Series will be on the same timeline as UTEOTW. Of course, it did not disappoint! I have been waiting to hear what happened to Maria (Penny and Ana’s mom from UTEOTW) and Eric (Cassie’s brother). I am so glad we finally get some answers! I’m so excited to see what she will do with Sylvie, Eric, and co.! – Luke Daniels perfectly captured Eric's witty and snarky personality. His parts were laugh-out-loud funny at times. – Therese Plummer did a great job as well, I felt Sylvie's pain and uncertainty through her narration. – Sarah’s character development and world building are flawless, as always. – The main characters are complex and I can’t help rooting for Sylvie and Eric! – Supporting characters are not washed out by the main characters and hold their own depth. Yes!!! Seriously, read it. Like, now. And then go read the Until the End of the World Series! For this review and more like it please visit my blog linked in my profile. To say I was excited to see a new book out by Sarah Lyons Fleming is an understatement. After finishing. I feel the need to go back & relisten to her Until the End of the World series and at this point I think I will read everything she writes. 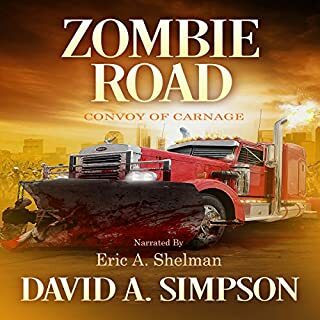 I love Sarah Lyons Flemings's other books she wrote about the Zombie Apocalypse and I was so thrilled when I found out that she wrote about Eric's and Maria's journey. (You don't have to read the other books before, to understand the story.) Fleming brings the characters alive and there's never a dull moment. Its funny, full of action and very addictive! I can't wait for the next books in this new series! amazing books this series and the one before both so epic and bring out all the emotions in you. brilliant performances too really well done makes you enjoy the book so much more . I was so happy to get the brothers perspective, I can't wait to see what happens. These stories are so compelling and the audio performances are perfection. Would you listen to Mordacious again? Why? Oh without a doubt a real discovery and a story you can't put down. This is a must read. So we'll written, I always wondered what happened to Maria, now I know and can't wait for the next book in this new series. The whole series is excellent! Ive loved and hated and laughed and cried. Please keep these coming. Amazing! Can't recommend highly enough!! It's been so cool to see what happened to the other side of Cassie's family! 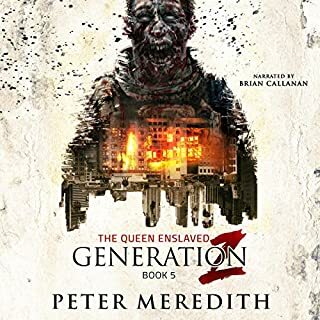 I was slightly worried that the city wouldn't live up to the excellence of the 'end of the world ' trilogy but I needn't have worried as this book was just as good! The characters are fantastic and I think she should never stop writing these stories! I could listen forever. The narrators are fantastic as well! Please hurry with the next one, I'm starting to get withdrawal lol! I wondered if I would love them as much as Cassie and her friends adventures and stuggles out of NY. Could it stand up to perfection that is Until the End of the World.... answer? Yes and then some. Eric, Cassie's brother is as loveable and ballsy as her and the gathering of characters are as well put together and weather you love them or hate them you can't deny Sarah Lyons Fleming a master at creating them. 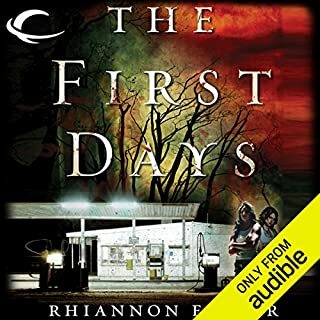 A fantastic firsts book of In the City Series again fast paced action packed filled with emotion and thought provoking situations that remind me that it's not the dead today I fear... it's the living! 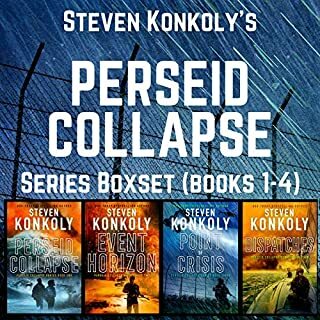 I wanted to listen to these books because I enjoyed the until the end of the world trilogy and wanted to hear more from the writer. I was overjoyed to hear they are linked to the original trilogy. Thank you..